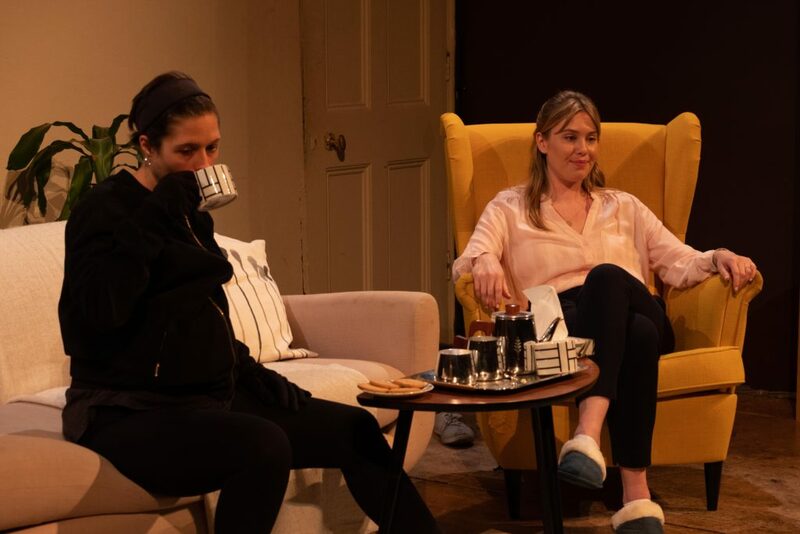 Playwright and screenwriter Morgan Lloyd Malcolm has had an astonishing career to date, and her feminist rally-cry of a play ‘Emilia’ is currently enjoying a West End transfer at the Vaudeville Theatre. This production is a well-timed revival of her 2015 work ‘The Wasp’, a riveting two-hander with the heart of a Hitchcockian thriller, and enough twists and turns to make any production worth a watch. 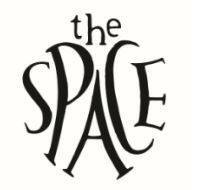 Heather (Lucy Pickles) arranges to meet up with old high school pal Carla (Rea Mole) to offer her a job. But not just any job: Heather wants Carla to murder her husband Simon. For £30,000. Carla, expecting her sixth child and living a dead-end life, needs the money, so she agrees. To say more would reveal too much, but the ensuing scenes involve childhood bullying, ex-marital affairs, lies (lots of lies), and a stark choice between kindness and violence. Both women prove to be duplicitous is some way, and it’s gripping to see this intoxicating script play out live. Directed by Sarah Fox, this production stands on the shoulders of greatness and does good justice to Malcolm’s script. Taking place largely in Heather’s living room, the set design is exquisite, all pastel tones and IKEA furniture – a very adult home. On the wall is Simon’s insect collection, including the all-important tarantula hawk wasp, whose tactic of laying eggs in a tarantula’s abdomen, a tidy metaphor for the ways in which violence and survival intersect. Pickles and Mole give slightly unsteady performances but will easily grow into these roles. Pickles is especially well suited to Heather, oozing a sophistication that cleverly misdirects the audience enough to make her arch the bigger surprise of the night. Although the drama buzzes long nicely, the ending doesn’t quite have the sting you would expect. Both women certainly have more tactics to play with than were on show last night. That aside, Fox has constructed an edgy and exciting thriller that fully deserves an audience. As the opening bars of ABC’s ‘The Look of Love’ open the show, we get a taste of what it must have been like, back when the announcement to remind us to switch off our mobile phones was aimed at the lucky minority. 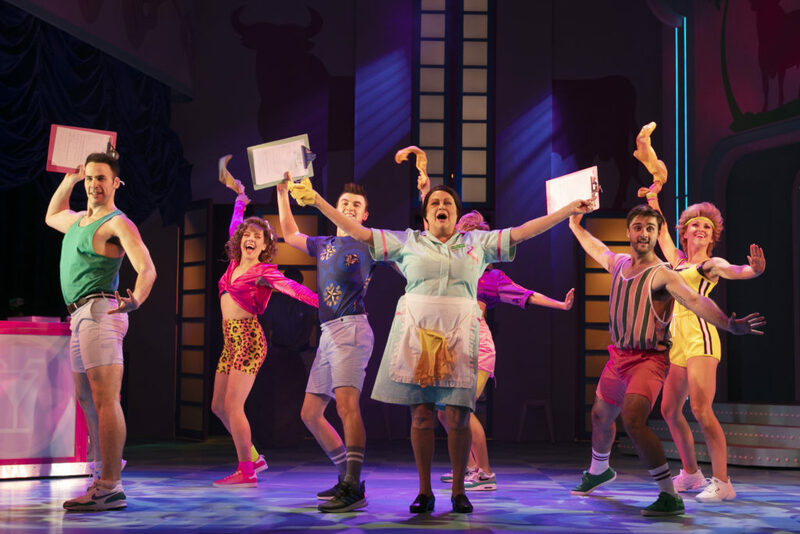 “Club Tropicana”, a show that joins a growing brand of jukebox musicals that celebrate a particular phase of our cultural history, wastes no time in letting us know we are on a journey back to the eighties. Despite being a time of massive change: the decade of Conservatism, Cold War and computers; Chernobyl and the Challenger disaster; the rise of AIDS and the fall of the Berlin Wall, it is often argued in retrospect that nothing really defines the 1980s. Similarly, despite a maelstrom of MTV hits shoehorned into it, it can be argued that there is little that defines this show. Both are sweeping criticisms, however, and consequently unfair. This musical is, in essence, simply a nod to the silliness of the decade and its aim is purely for the audience to have fun – and, indeed, make fun of the cheesiness of it all. But even if you approach it with low expectations, Michael Gyngell’s book struggles to reach even those. The plot is as gossamer thin as the condom jokes and other outdated innuendos that desperately try to hold the threadbare dialogue together. I’m not sure it even tries to succeed in this, such is the laziness of the writing that obviously decides to rely purely on the iconic 80s soundtrack to hold the narrative together. Lorraine (Karina Hind) jilts Olly (Cellen Chugg Jones) on their wedding day. Not wanting to waste a honeynoom, she heads off to Sunny Spain with her two best buddies instead. Meanwhile Olly drowns his sorrows by jetting off with his two best men. To the same hotel as Lorraine, of course. The experience is like turning up at a half-built resort, where the shell of a swimming pool is as shallow as the characters that swan around it searching for a personality. But the staff are doing their best. And it has to be said that, while there is little investment in story or characterisation, the cast, without exception, give it everything they have. The ensemble is a show unto themselves as they faultlessly execute Nick Winston’s top-notch choreography. There are some fine voices on show particularly Amelle Berrabah and Neil McDermott as the hotel receptionists, blind to their mutual yearning but not to the onstage chemistry these two actors have. But the stand out is actor, singer, impressionist Kate Robbins as Consuela the cleaner. A dynamic presence, Robbins peppers the scenes with her expert comedic timing and mimicry. A surreal moment when she sings “Don’t It Make My Brown Eyes Blue” in Spanish, dressed as Adam Ant is almost worth the ticket price alone! Without a doubt, this show is a crowd pleaser. But it is far too aware of that fact and therefore, unforgivably, it takes for granted its appeal. Like the overblown cocktails that “Club Tropicana” serves up, it is all show and little substance.